Ferrari team principal Mattia Binotto has defended Sebastian Vettel’s error in Bahrain, believing drivers shouldn’t be criticised for driving ‘to the limit’. 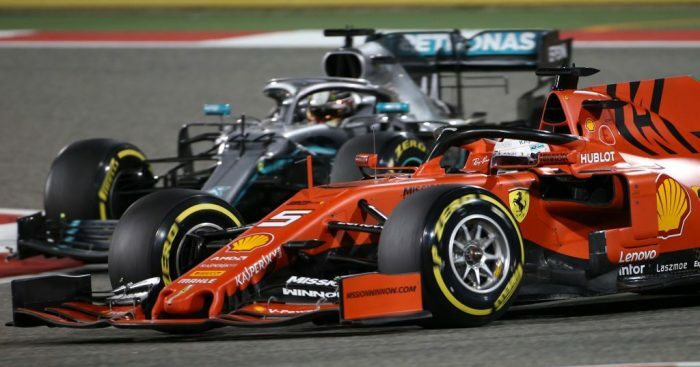 The German lost control of his SF90 during the Bahrain Grand Prix whilst under heavy pressure from rival Lewis Hamilton. It was another unforced error from the four-time World Champion which proved costly as that along with Charles Leclerc’s engine problems, meant that Ferrari went from a strong race-winning position to just making the podium. However, Binotto was keen to deflect criticism away from Vettel, arguing that his driver should not attract the reproval of fans and pundits because only when driving to the limit will he achieve the best results. “It was a mistake and I don’t think we should discuss about mistakes. We are always in the battle and in the fight, that is what we are doing and it is never easy,” he told Motorsport Week. “I think at the end it is something that can always happen. I think we need to encourage our drivers because it is only by driving to the limit that they achieve the best result and that is what Seb was trying to do.